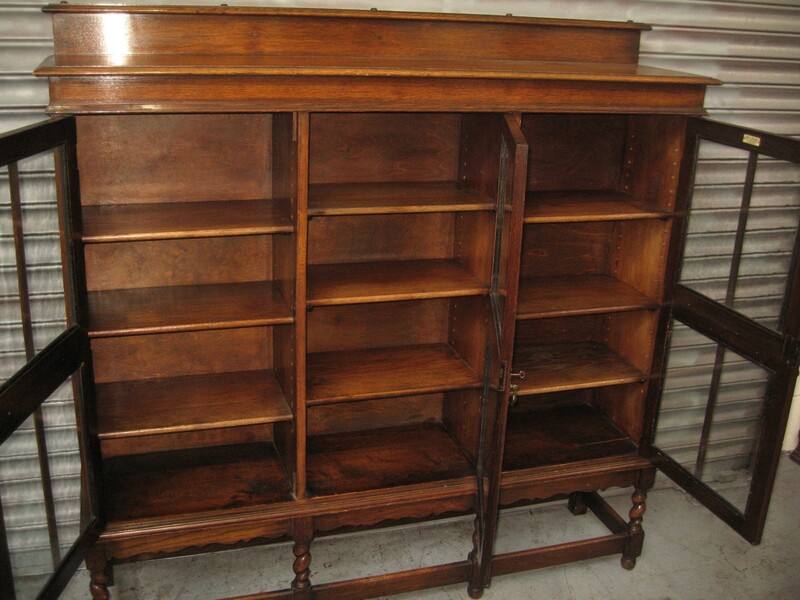 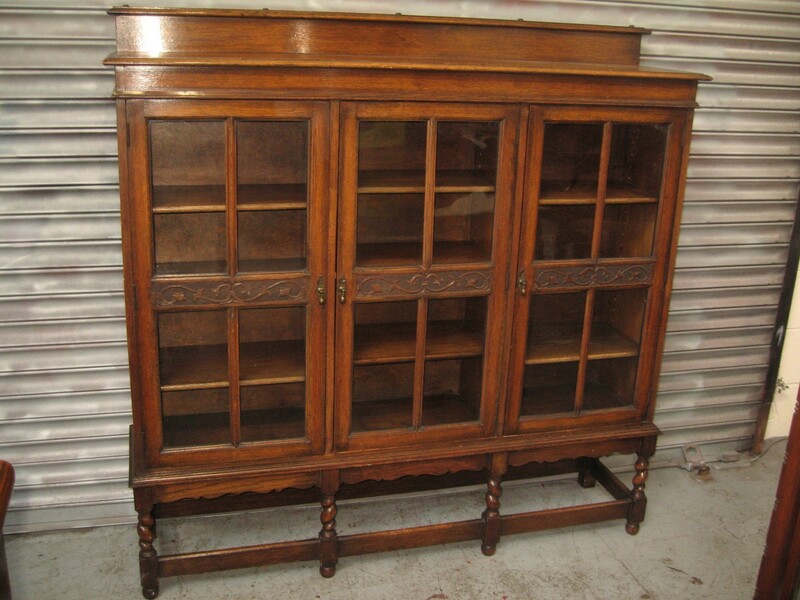 Oak three door bookcase dating from the 1920s with short raised back , three glazed doors on turned legs and cross stretchers. 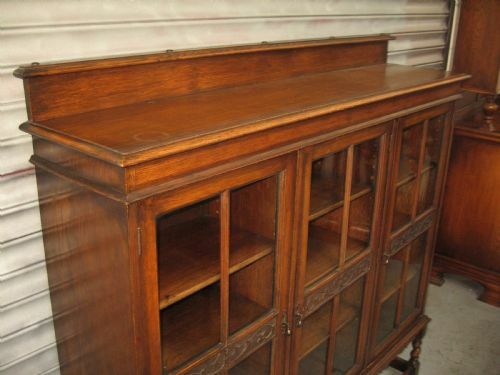 The interior has three adjustable shelves to each compartment, carved detail across the front. 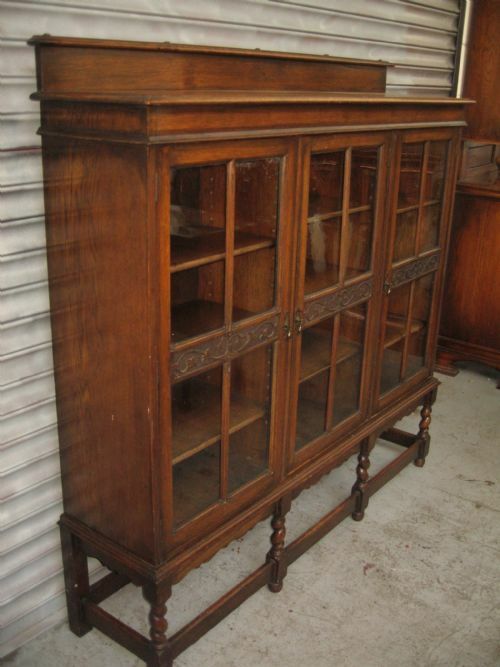 Size 60 ins wide, 59 ins high, 14 ins deep. 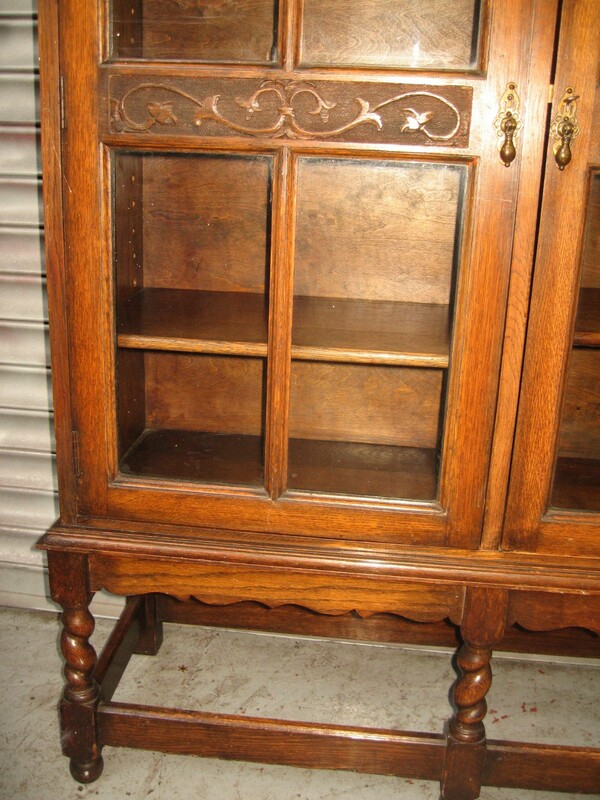 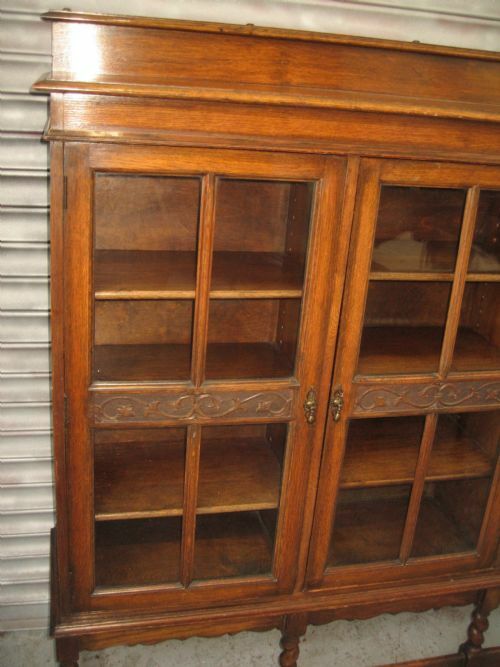 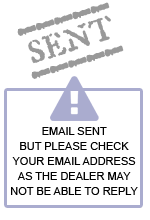 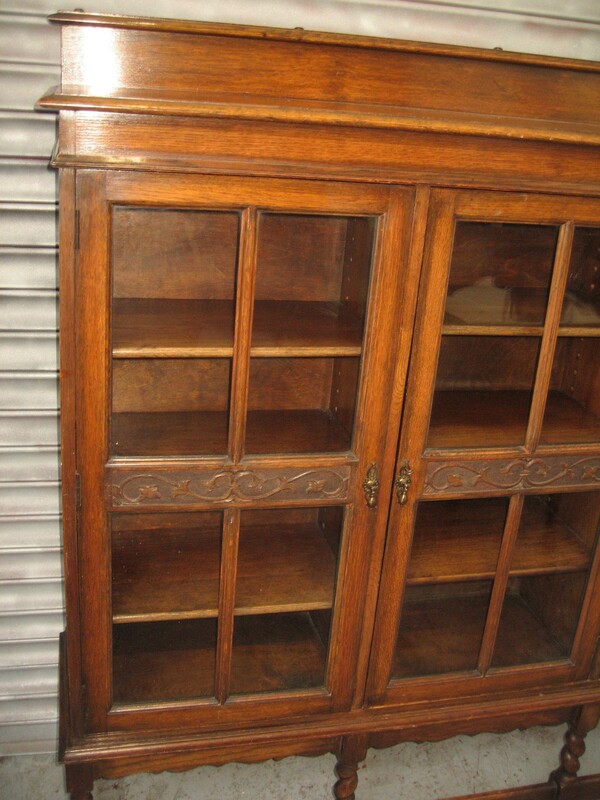 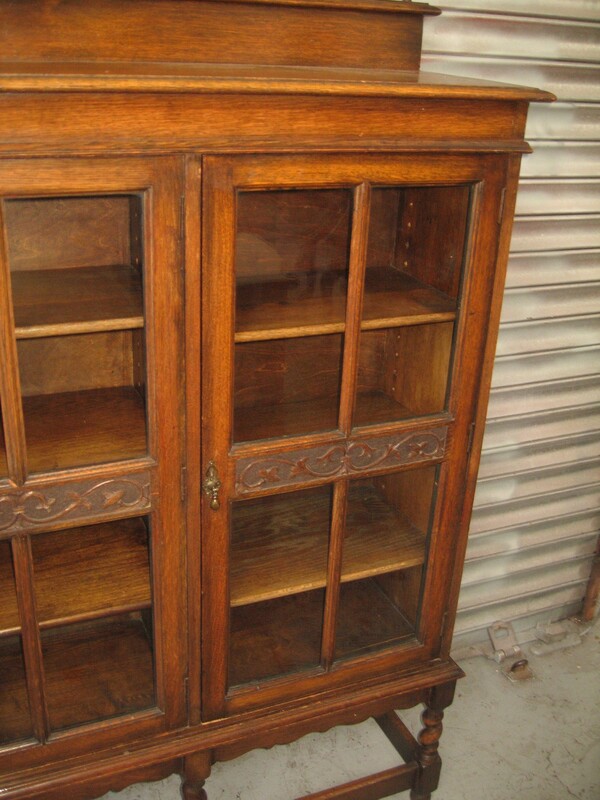 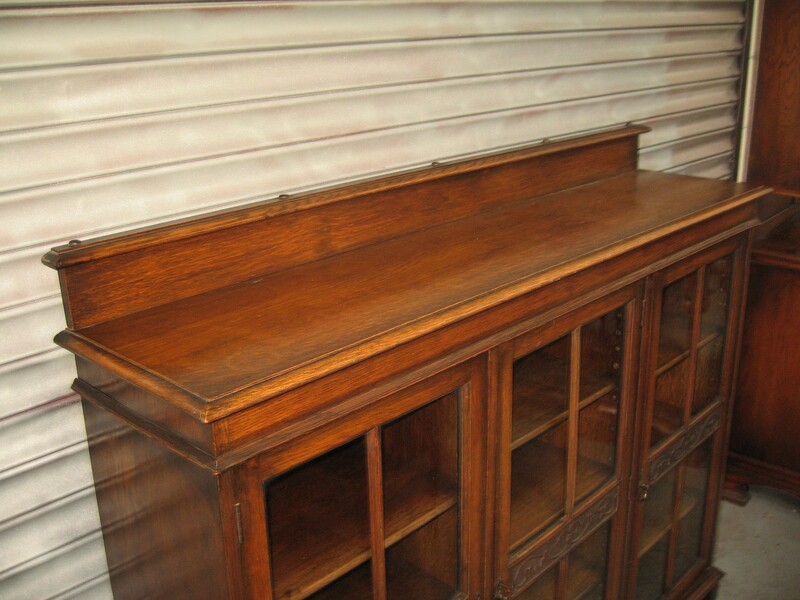 The Oak three door bookcase has been added to your saved items.